Yesterday, production of the Han Solo movie officially kicked off, and directors Phil Lord and Chris Miller celebrated the occasion earlier today by releasing a photo of many of the actors assembled together. 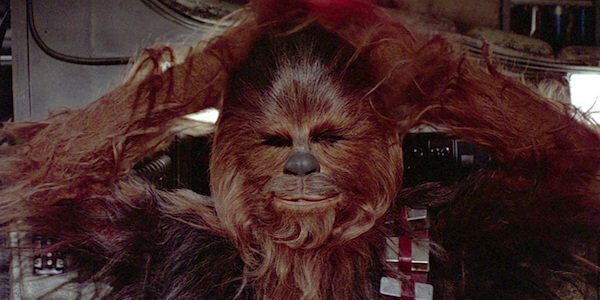 Along with the picture came a press release confirming who will comprise the next Star Wars Anthology movie’s main cast, and that included clarification about who will be playing Chewbacca. Instead of Peter Mayhew reprising the role, the Wookie will be fully played by Joonas Suotamo. We’ve known for almost a year that Chewbacca would be involved in the Han Solo movie, but today Lucasfilm officially announced that Joonas Suotamo will have the Chewbacca role all to himself. That makes this the first time that Peter Mayhew won’t be playing the walking carpet in one of the Star Wars movies, although he’s still expected to return for Star Wars: The Last Jedi and Episode IX. This will be Suotamo’s second time playing Chewbacca, as he was double for the character during Star Wars: The Force Awakens.